In the year 2185, a multi-species project leaves the Milky Way galaxy, for a 600-year voyage through dark space, to establish colonies in the Andromeda galaxy. That’s the basis of the newest game set in the Mass Effect universe, which sees the player take on the role of the expedition's Pathfinder, helping the intrepid many build a new home for themselves. This all, of course, goes horribly wrong. 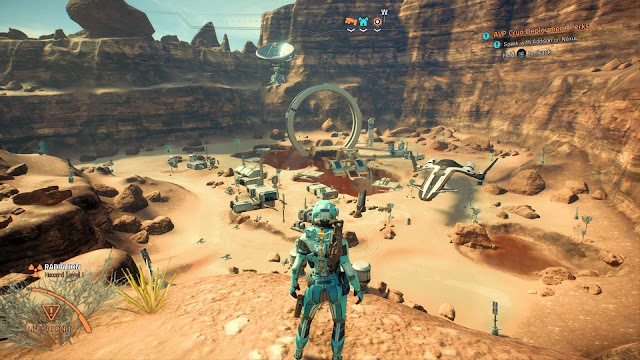 Mass Effect Andromeda has a mammoth task to come to terms with, following in the footsteps of my all-time favourite game trilogy, and throughout my extensive playthrough of the game, I never really settled on whether I thought it did enough, or if it fell short. It was only in its ending that I could appreciate the indeterminate path it wove, though I’m still not sure if that was enough. This inconclusiveness could be taken as a cautioned endorsement of the experience offered by the game, but what you yourself will take away from the game will vary. 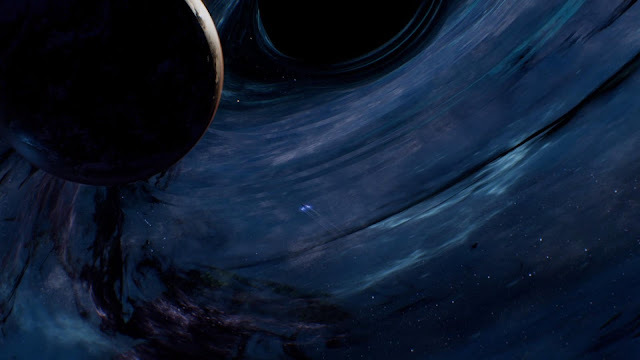 Andromeda has also had to build upon the lore of the game without being able to use the outcomes of Mass Effect 3, nor the events within the game that lead to any of its conclusion. The initiative launches prior to the events of the last game, and because of such incredible distances between these colonists and their homes, contact with the Milky Way isn't possible, nor are appearances of old friends, so BioWare had a real opportunity to use Andromeda to bring new players into the fold, and sell a brand new cast of characters. 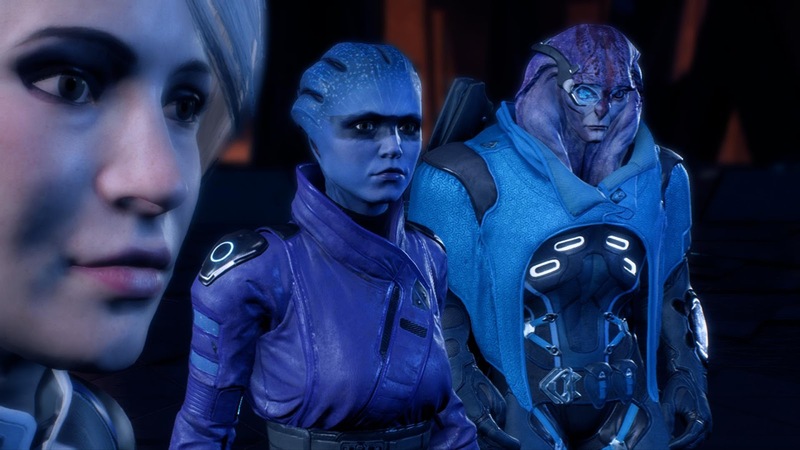 The Mass Effect series is also known for a reasonable exploration of themes and ideas, an ever-increasing amount of fanservice, set-ups rarely being what you expect, and relationships with a bunch of aliens that your human protagonist can also sleep with and write fan fiction about. It’s difficult to sum what Mass Effect means to all of its fans, too - those that came to the series with the hugely praised Mass Effect 2 after missing the cult-like first game missed out on the Mako, many difficult moral choices, and superb characters like Papa Wrex. If they came in at the third, when the series really hit the mainstream, they missed out on the buildup of story and relationships over the previous games. 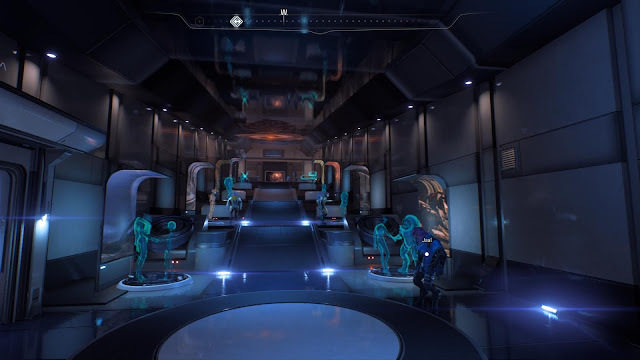 And now, if your first Mass effect is Andromeda, you might find the going tough as first as you won't know so much about important events, people, and organisations that this game refers back to, such as the genophage, the exploits of the Prothean Empire, the First Contact War, Cerberus, or even Reapers. Hitting all of those for a single game can’t be easy, and it’s worth talking about how it went. Yeah, this is going to be a long walk through Andromeda and it might flirt with spoilers, but why not? I flirted with just about everything else in my initial Andromeda run, so spoilers are but a brief dalliance. First, let’s get the internet’s favourite kerfuffle out of the way; the animation and other technical issues in the game. In its release/day one state, the game is glitchy (though BioWare has outlined a patch schedule that will make things better). Whether it's cutscenes not playing through right, loading screens to nowhere, characters teleporting through walls, characters that hover in mid-air, and the game simply crashing; they're all there. There have also been a lot of comments about the quality of the animation, which started with the first gameplay trailers and persisted all the way till… even now. After many hours with the game, I can honestly say that I’m not trouble by the animation, and find in some ways it’s actually quite nuanced. After my first few hours with the game, I did two things - I went back to Dragon Age: Inquisition, and I started looking at the character's mouths when they spoke, and it makes me think the troubled perception of the animation comes from two fronts - the speed with which facial animations flow with Andromeda is quick, and can look comical when you’re not used to it. Some (such as myself) experience the same when watching high-frame-rate films, which seem ripe for a backing track of Yakety sax. The other facet is there’s also a lot more subtlety in expressions, which can look stilted when games tend toward stage-acting in their theatrical moments. This also extends to character reactions. When sad emotional moments occur, it’s expected that characters will react with tears or sadness, yet the true breadth of responses to a personal crisis vary much more than that. Some will exude stoicism or bury themselves in their work, while they may be struggling internally with the situations they’ve been dealt, and sometimes the enormity of loss or failure can only be processed over time, in hindsight, instead of in the moment. 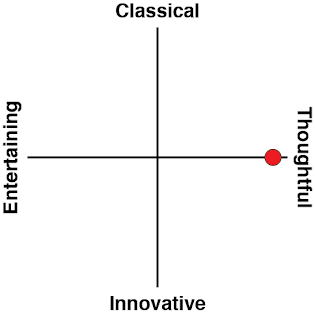 Again the criticisms of the game in this vein feels more a case of performative expectations versus a closer mirror to our very varied lives. 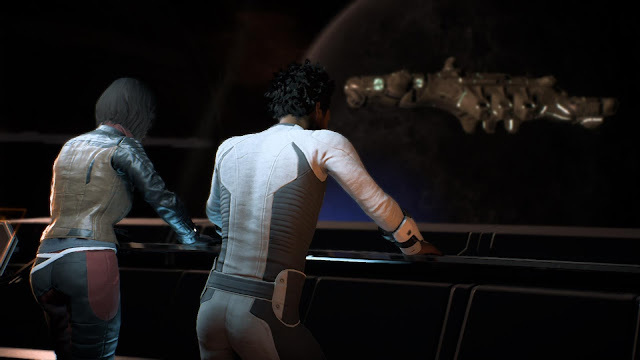 As far as those characters go, whether the player’s particular Ryder, their squadmates or other supporting characters, their personalities and presence are an embodiment of one of Andromeda’s core themes- second chances. This is a recurring factor with almost everyone that joined the Andromeda Initiative, that they wanted a fresh start, to find who they were, and to see if they could gain a sense of belonging. This could be seen as a mirror of the game itself, that departs in many ways from the main trilogy, in hopes of starting something that might thrive in its own right. Whichever Ryder twin you play as, your path to Andromeda follows in the footsteps of your father, Alec. Alec himself is an interesting character that you learn more about over time, and as a member of the N7 military organisation, hen is symbolic of Commander Shepard from the previous trilogy, casting a long shadow over your personalised Ryder. Some of the crew are analogous to squadmates from the previous trilogy, too. Cora fills the Ashley/Miranda role, Liam is a Kaidan/Jacob, and Drack as an even grumpier take on Wrex. PeeBee turned out far less cringey than I expected, some allusion to Kasumi and Jack in character, which is also a throwback to old Bioware archetypes as the aloof loner in the crew of misfits. Vetra is harder to pindown, but femme Garrus she is not. These are the characters that will spend the most time with Ryder out in missions. Additional crew mates on the Pathfinder's ship also feel closer to those in ME3, and many interesting in their own way. Also on the note of characters, there’s Jaal, who completely deserves his own paragraph. The character of Jaal is one of the other highlights of the game’s cast, and which from his character design he could have been interpreted as a Garrus stand-in (as in, the most charismatic character from the original Mass Effect trilogy), he’s much more than that. There is some of that classic Archangel awkwardness, and he does share some combat barks with everyone’s favourite Turian, but there’s also a openness and honesty to his interactions. He tends to speak his mind, much as yet another most popular Mass Effect 1-3 character, Javik, did, but never in a way that seems blunt. 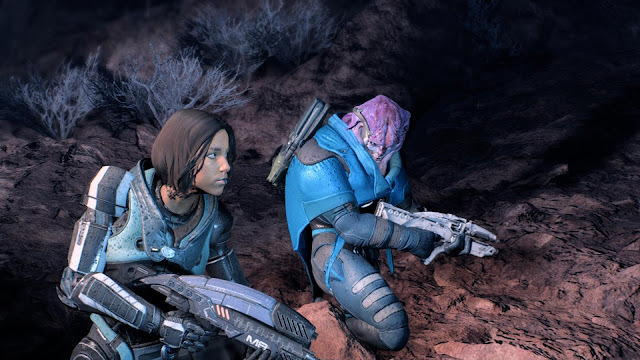 It’s just as well that he's such a good character, because it is through Jaal that we also develop a relationship with the Angaran race, which is new to Mass Effect: Andromeda, and it's important that we get along with them for the future of the series. The Angaran race, is presumed local to the Heleus cluster in which Andromeda takes place. The early game is light on details of their history, but explores more of their history, nature and beliefs as time goes on. There are multiple factions within the Angaran, and they have a varying disposition toward the Pathfinder, and the explorers from the Milky Way. Some of those interactions lack nuance, and can steer toward downright questionable territory, before then attempting to grey up the morality. Meanwhile, the Pathfinder and his/her allies find their main antagonist to be a fellow called the Archon, which is also reminiscent of various BioWare villains in the past. The Archon leads a hostile race, the Kett, who are rarely portrayed as having personhood. There's a lot left to mystery about this species; for the most part they're just things to shoot, but as the game progresses on there are at least some attempts to have players second guessing their actions towards the Kett as well. Still, there's potential there for BioWare to expand the role of the Kett beyond what they offer in this game in future Mass Effect titles. Ryder is the hero of the game, and players have greater control over his/her personality than they did over Shepard in the original Mass Effect trilogy. 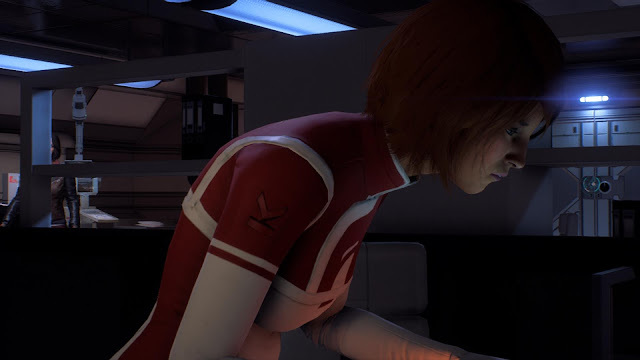 While Shepard was largely stuck on a "Paragon or Renegade" binary that informed their decisions at plot points, in Andromeda that system has been replaced with a more nuanced approach to the character. There are now four different ways to respond to situations, and there’s no need to steer Ryder toward one type of response for the sake of being able to unlock important play features in game. The result is that the game allows you to play a very human Ryder; sometimes he/she is a jerk. At other times they'll knuckle down and be serious about something. 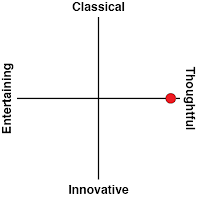 From a play perspective, there’s a lot to love, but also a lot that needs improving. The combat is fun and fresh - the jump, hover and evade skills are new, and bring a more nimble feel to encounters. The mix of profiles, and the ability to blend skills from the schools of Combat, Biotic and Tech together changes the combat experience to suit each player, and gives players an awful lot to experiment with. There's a pretty strict limit on active skills and the direct control you have over the two squad mates that Ryder will take into missions, and while this might feel like a step back for series veterans, it also makes for decent flow. There isn’t a huge breadth in enemies, with shielded snipers, armored damage soakers, and biotic magnets present in battles, but the limited variety does allow for tactically intense combat missions. Outside of combat, you've got some big areas to explore. 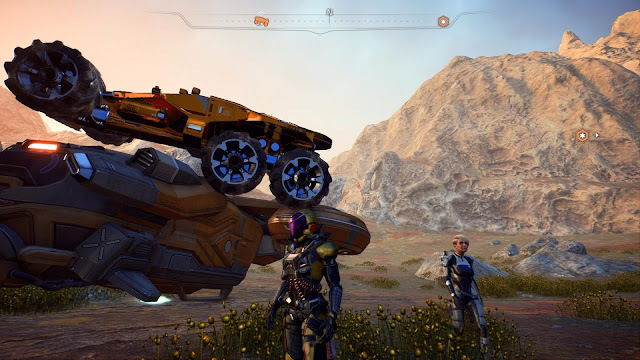 You'll do this in the NOMAD, an all-terrain buggy which people who remember the first Mass Effect would not relish using, but thankfully it works better this time around. Upgrades go some way to increasing the maneuverability of the NOMAD, and there are different drive modes available to give you much finer control over the craft than with the Mako. It doesn’t have weapons, but since you can ram it into the middle of an enemy encounter, disembark, and use it as cover, it’s not a bad little space-bus. 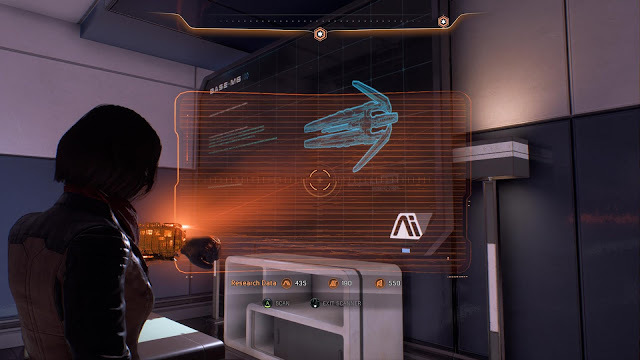 If there’s anything else in gameplay that distinguishes Ryder from Shepard, it’s the mechanic of making sense of the Heleus cluster through scanning. Sometimes it’s purely information gathering, but there are a few missions where your Pathfinder is more akin to a space detective. One of these missions was shown in pre-release marketing, and though they’re not as prevalent as that video might make it appear, certainly less so than combat, they are regular enough that they provide a nice break from jogging or driving between attractions. It helps that the planets have enough activities and quests, that generally tie into the main quest to help enhance it. There are a number that aren’t single-shot, but ongoing sequences that take you from planet to planet in stages - something that’s true of character quests as well. These are coded somewhat as a way in which to explore the setting - whether it’s roaming around the Nexus and learning of the initiative’s origins, getting familiar with the Tempest, or exploring the history of the Angara, the remnant and how the scourge relates to them both. It’s also an massive game. The geographical scale comes from planets, and wanting to turn the NOMAD into something you have to rely on, but even factoring in transport methods, it’s huge. While the music does slot into the Mass Effect niche, there isn’t a standout among the soundtrack, which means it never gets better than “it suits”. Each game in the Mass Effect trilogy had songs that would stay with you, songs that even brought people to the games once they heard them, yet nothing in Andromeda’s playlist does that. The closest it hits to something iconic is the almost-Vigil-esque notes that go with the menu music, but that feels like a prelude to a moment of auditory bliss that’s never delivered. There isn’t a lift in the suite. Graphics are fine. It isn’t photorealistic, it enters the uncanny valley A LOT, but you will still want to bang all the things. The landscapes are interesting and featured, even in places where they are literally ice plains in every direction, and they walk the line of familiar in features, yet still an alien world. Everything feels much more plausible than the random planets of the first Mass Effect, and without the weird spots of nothing that a procedurally generated planet would offer. It’s in details that the game’s visuals really shines - rain drops appearing on armor, stitching of fabric up close, or even the subtle gradations of shadows all bring the grand designs and layouts together in ways you only notice when taking your time. On a macro scale, moving from one planet to the next produces a superb animation of flying through space, though the slow movement between planets will wear on you after a while (but it’s going to be skippable soon). But Mass Effect has always been more than its gameplay, animation or romances. The aspect of the games that have generated ongoing discourse is the examination and exploration of themes, as it relates to the setting, often as a lens for an examination of issues that are relevant to the current day, or the human condition. Finding a purpose and its relationship with identity is the defining theme in Mass Effect Andromeda, and in the face of increasing trend for automation to replace people in the workforce in the real world, it’s one that’s actually very topical. When a lot of identity and self-worth is tied to what we do, having that change or taken away can seem like an alteration - even a loss - of identity. Most of those that went to Andromeda did so to find a calling, or a new self, because they’d lost whatever one they’d had before - either through loss, failure or stagnation. Whatever it was that drew them to the initiative, there’s a persistent "rejects" aura throughout. The game is peculiar in its examination of that theme, and showcases how perception and habit work against the best interests of the self. For the very many that came for another chance at life, there’s also a propensity for counting chances as spent, when the initiative itself needs to take every chance afforded it to ensure its survival. It’s Ryder and the player that need to bring things back from the brink, and salvage what was considered unsalvageable. Family is a significant theme in the game, and is presented in multiple ways. 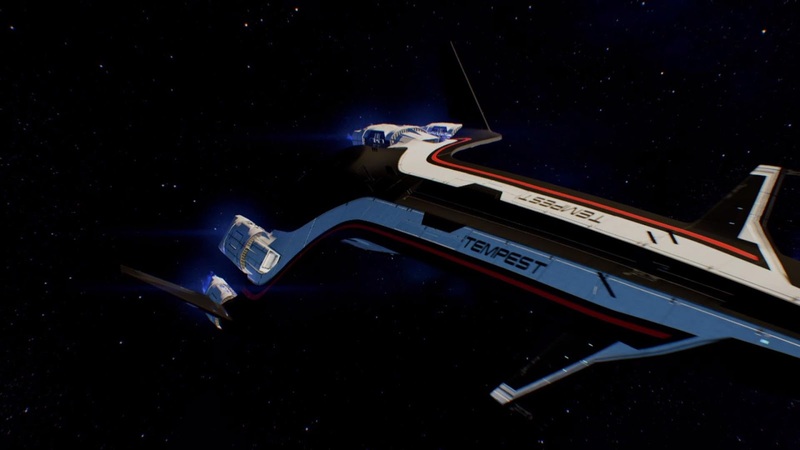 The most obvious showing of it is in the relationship between the Ryder clan, but it’s also shown in the relationships between those gathered aboard the Tempest. The insight on Angaran life that happens through the game also centres around the importance of family, though presented with a communal dynamic that will be unfamiliar to western experience. A big part of the game, whether treated as a central theme or not, is colonialism. Whether intended or not, it’s hard to escape that what the Milky Way races are doing in Andromeda is colonising a populated region of space. Portrayal without criticism is often interpreted as an endorsement, and for a lot of the game, Andromeda presents colonialism without casting judgment on it. 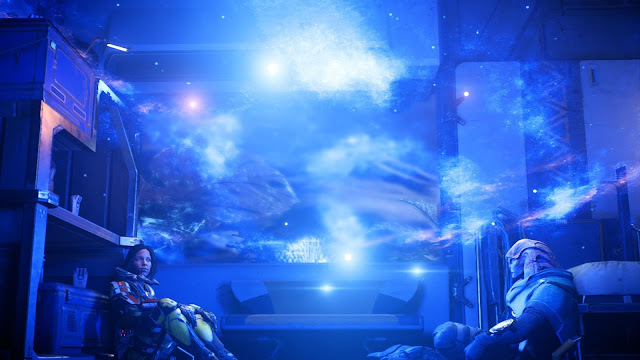 There are a few cases where Ryder has the chance to present a stance on which planets are open to settlement, at least in the case of those not available to settle through gameplay. The Pathfinder will recognise the sovereignty of some the Angara on some planets, while others which are as inhabited will be open to settlement - though there’s no means to ask the Angaran directly for their opinion on what the foreign species should do. It also alludes to the troubles at times, where the new aliens are taken advantage of, murdered, framed, beaten, and robbed. Some of them find employ as thugs in raider groups, and it’s up to Ryder to state how they will be treated, in the absence of the actual ambassador doing things things officially. Even moments that seem like they’re making a point, the difference between Ryder choosing how to compensate the Angara and involving the Angara in how they’d like to proceed, are run too subtle to be clear about the point they make. An examination of what it means to be a guest, for example, presents two different connotations but never indulges in the differences further. That the ambiguity is there suggests awareness, but again, it often falls short of making a statement. Aspects around the sanitised history of the Milky Way that the humans provide to the aliens of Andromeda, the suspect origins of the Initiative to get to Andromeda in the first place, and uncertainty in individual character motivations raise the prospect there may be a story beneath the story, but until a reveal it can only be guessed at. More than the themes of family or identity, this one is present throughout. Even in the Angaran’s faint protests at your colonisation efforts and their eventual acquiescence falls short of recognising that you’re showing up to the home of an another species before effectively subjugating them. Whether the game furthers the lasting legacy of the Mass Effect trilogy will depend greatly on where the game goes from here. The themes raised by the game aren’t of the same ilk as the originals, and certainly don’t approach the existential crisis surrounding synthetic life, the seemingly unknowable motivations of the Reapers in their quest to exterminate lives, or what humanity’s role in a larger, populated galaxy could be. Future content, whether in DLC or sequels, may not further discourse about Mass Effect Andromeda. Beyond sharing moments or cool experiences, there hasn’t been a huge call for treating the game as a lens for our own lives. The game is still relatable, and its themes do resonate, but they do not possess the same otherworldly nature that steals us from our dailies to consider them at a distance. If the most common discussions about the game never transcend whether the game is good fun despite it's animation and bugs, then it hasn’t replicated the response to the original trilogy. Much like the many characters you’ll meet from the in-game Initiative, Mass Effect Andromeda is a game that isn’t quite sure where it belongs. 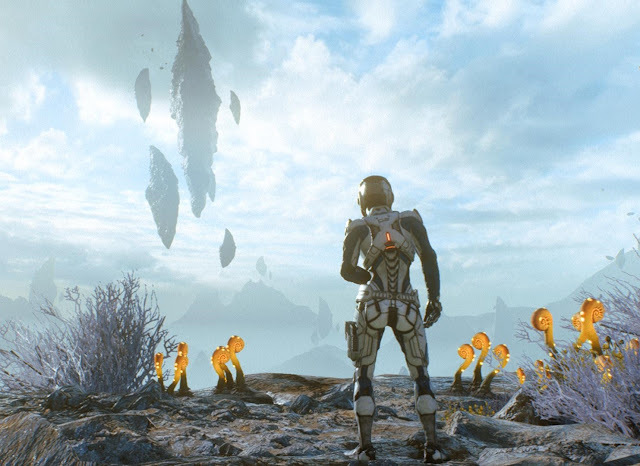 In some cases, it’s a throwback to the themes and style that made the first Mass Effect such an understated jewel - one concerned with building a universe and treating it as a milieu for side-stories that could be games in their own right. In other ways, it’s more reminiscent of the tail end of the trilogy, that reached for stars it couldn’t grasp, and never tried to stall its descent. Related reading: Looking back at the original Mass Effect trilogy; was humanity wrong to fight back against the Reapers? Andromeda is still Mass Effect, and for some that might be enough, but this avenue needs more to be held in similar esteem. It does reach a satisfying conclusion, at least as far as the buildup warrants, but it takes the long way around. It does hit something that feels like a fresh, Mass Effect-patterned beginning, but a lot of the sophistication in plot that’s alluded to is left up in the air. Of course, we've also heard all of this before, when people were unsure about just what BioWare was trying to do with the original Mass Effect. It really took us two games to come to believe in the vision in the first instance, and perhaps that is the case with our new home in Andromeda, too.